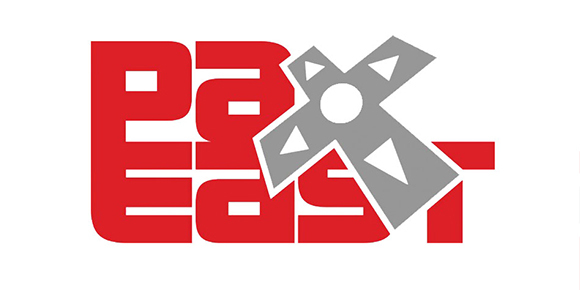 Square Enix has revealed its lineup and panels for this year’s PAX East event in Boston, Massachusetts. From hands-on demos to previews and panels of some of the company’s latest software titles, fans and newcomers alike who visit the Square Enix booth (#11017) will be able treated with a plethora of goodies including hands-on time with Final Fantasy XV’s Episode Gladiolus DLC. Players can also stop by the booth to tackle the “Warring Triad Challenge” for a chance to win a themed T-shirt of Final Fantasy XIV: Stormblood. Attendees can also take part in a social media contest to win special prizes for Dragon Quest Heroes II, NieR: Automata and Final Fantasy Brave Exvius by snapping photos and sharing the posts via social media. Last, but certainly not least, Square Enix will host a few panels at the show giving fans an opportunity to catch the latest development updates and converse with the leading creative minds behind the games. Join Final Fantasy XII: The Zodiac Age director Takashi Katano and Producer Hiroaki Kato, attending from Square Enix’s Tokyo studios as they discuss all-new details of the upcoming title before its release on July 11, 2017. In this joint panel, fans can join director Yoko Taro of NieR: Automata for a discussion on the launch of the Square Enix and PlatinumGames’ action RPG. For the second half of the panel, fans can join producer Haruyoshi Sawatari and global brand manager Raio Mitsuno for a first look at Final Fantasy XV’s Episode Gladiolus, the game’s first character-driven episode of DLC. PAX East 2017 is set to open doors from March 10 through March 12. Posted in PAX East, Square Enix. Looking forward to seeing the FFXII changes and what has been streamlined from the original. I didn’t play the International Zodiac Job System version, so hopefully they’ll go into some detail regarding that. Well, your name says a lot. Considering PAX is an extremely public event with almost little to no attention given by the big suits of the industry going on, yeah don’t wish for them there, they won’t be there sadly lol. Why would you demo an Episode DLC if it’s just going to be a short endeavour? It’s so close now! What do you reckon the GB download size will be?? I find it hard to believe that it’ll be that big considering it’s going to be $5 but if they can have a demo for it then I have no idea how big it is. It could be a 2-3 hours and they’re just doing like a 15-20 minute demo but who knows. Considering how some speedrunners took the main game that seems like a satisfying length. How long, not in hours, but in chapters do you think it will be? You can do chapter 9-(the end of) chapter 13 in that time I reckon. Have to wait and see. I personally won’t be buying it but I’ll be looking forward to watching it on stream to see what it’s about. I will be surprised if the Gladio DLC will be longer then an hour. Its simply too cheap to be any longer then that. So glad I chose the right “edition” then. Then again you must realise how much free content we’re getting via updates. that is quite decent considering? I’d say that’s substantial. Well if nothing else they could talk about it.